TAXI REVERSE HIT WALL @ BEDOK! WALL COLLAPSED SIA! TAXI TANK? 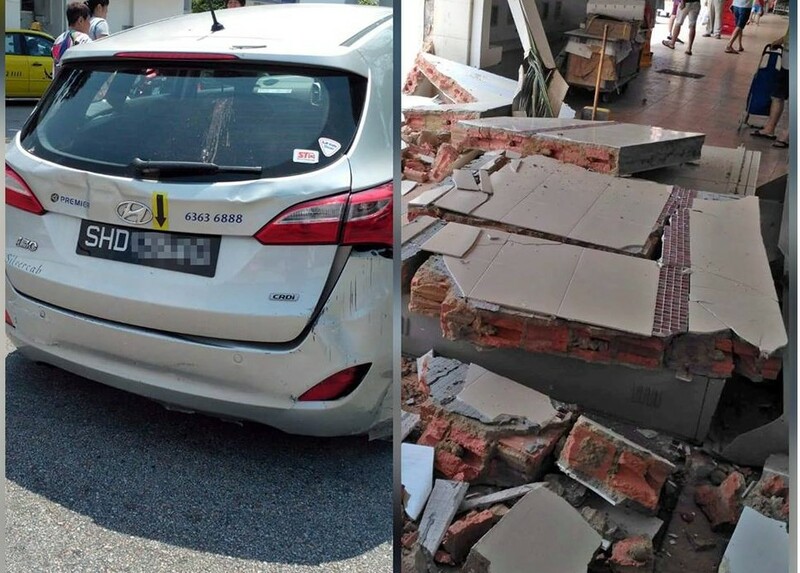 You are at:Home»Caught In The Act»TAXI REVERSE HIT WALL @ BEDOK! WALL COLLAPSED SIA! TAXI TANK? at Block 216 Bedok North Street 1 at about 11.50am on 12/08/18. How come the wall no reinforcement bar?? This taxi more power than a wall. Previous ArticleHIT & RUN AT TOA PAYOH. PLEASE SHARE!